Beautiful home in the Jordan School District. Freshly painted inside and out. All hardwood floors on the main level have just been refinished. All the carpet on the second level is brand new as well. Excellent flow in this home with extremely large kitchen and sitting area with see through fire place. Very dramatic 2-story entry foyer. Upstairs has updated baths and 4 large bedrooms and a bonus room. Large flat rear yard is fenced. SchoolsClick map icons below to view information for schools near 503 Braden Drive Durham, NC 27713. Listing provided courtesy of Nexthome Parkside Realty. 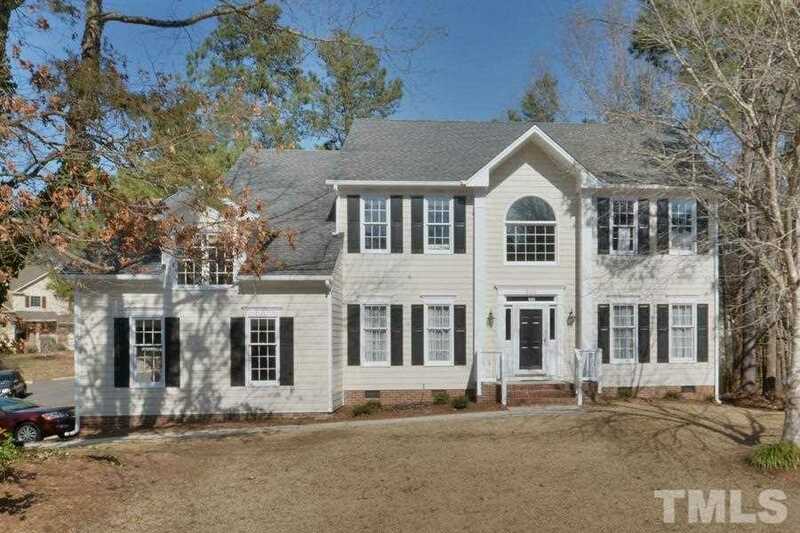 Home for sale at 503 Braden Drive Durham, NC 27713. Description: The property at 503 Braden Drive Durham, NC 27713 in the Fairfield subdivision with the MLS# 2236551 is currently listed for $408,500 and has been on the market for 65 days. You are viewing the Triangle MLS listing details of the home for sale at 503 Braden Drive Durham, NC 27713, which features 4 bedrooms and 3 bathrooms, and 2932 sq.ft. of living area.